Homelife group members that took part in setting up for the event. Homelife hopes to make these donation hand out events a reoccuring project to assist those who need it. Homelife, an organization established to give back to those in need, set up in Tracy Park on Saturday morning with packed lunches, hygiene items, and clothing donations ready to give out to anyone in need. 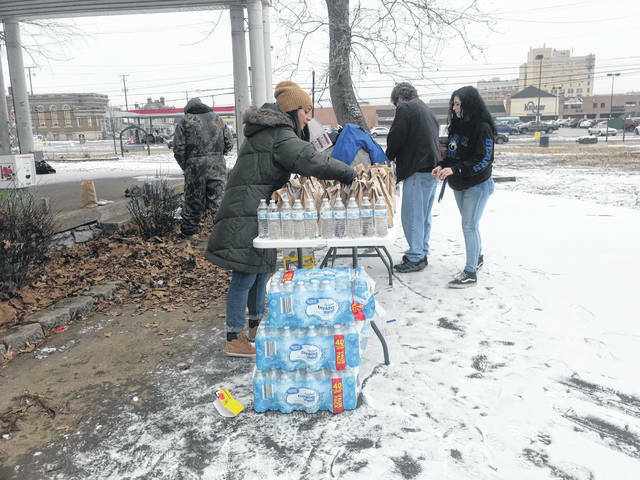 The group began setting up at 10:30, and planned to begin handing out items at 11:00, and while still unboxing and prepping donation items several individuals seeking their help had already arrived. Group member and volunteer Amanda Lewis stated that being fortunate enough to give back was essentially the universal reason for joining the group among its members. Just forming a handful of weeks prior to their first donation event, Homelife is still seeking new and gently used items for Portsmouth’s homeless and less fortunate community. Donatons of shoes, socks, underwear, sleeping bags, feminine hygiene items are among most requested items according to organization founder Heather Book. Book also stated that while winter items are currently in need, stated that donations for any season would be greatly appreciated. “Anyone that wants to help or wishes to donate any gently used items can contact me any time of day. Anyone that wants to know what the group is about and why we’re doing this, contact me or add us on Facebook, Join our group, keep up with our day to day activities, ask any questions they have,” said Book. https://www.portsmouth-dailytimes.com/wp-content/uploads/sites/28/2019/02/web1_HL231.jpgHomelife group members that took part in setting up for the event. 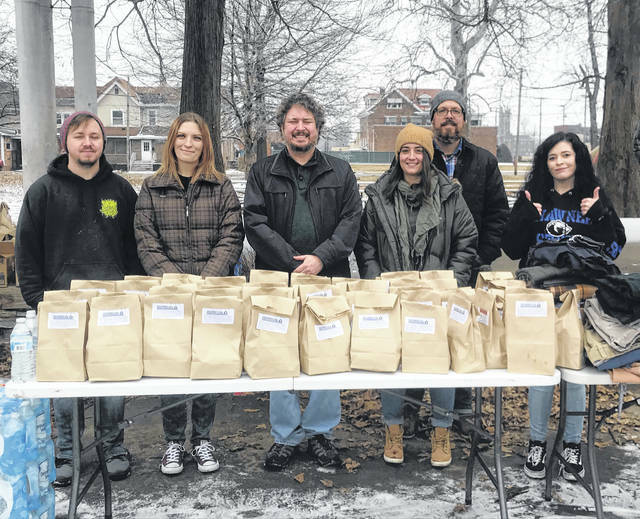 https://www.portsmouth-dailytimes.com/wp-content/uploads/sites/28/2019/02/web1_HL23.jpgHomelife hopes to make these donation hand out events a reoccuring project to assist those who need it.